Local officials gathered Tuesday to break ground on a new hike and bike trail in San Juan. Thankfully more people in the Rio Grande Valley are making a real effort to exercise regularly and be healthier by walking, hiking and running area trails. And thankfully our area leaders are recognizing that and they are making greater efforts to supply trails for us to safely do so. 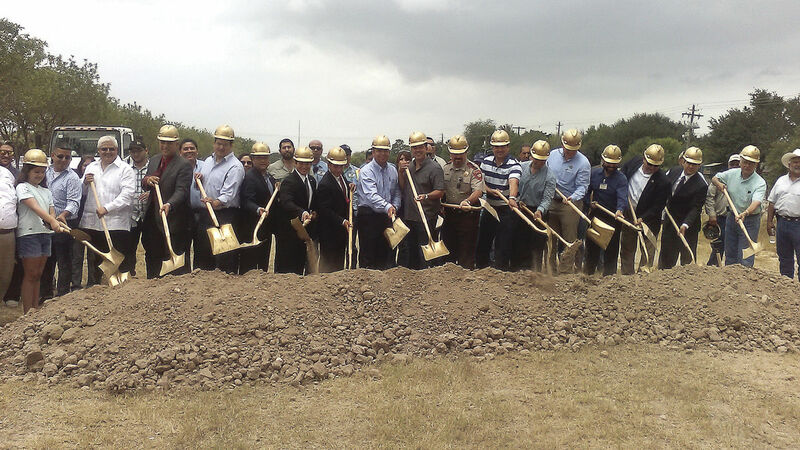 Last week, ground was broken in San Juan to begin construction on a regional hike-and-bike trail that will link the cities of San Juan, Pharr and McAllen. Eventually, it should also connect to the University of Texas Rio Grande Valley’s campus in Edinburg. The $9 million project starts with a segment near what is called Bear Trail — after the PSJA High School mascot — a dirt path that runs along a drainage ditch east to west near the school. Once completed, the new 7.7-mile project should be much better than running or four-wheeling on a drainage ditch, however. And we are especially intrigued by plans for several tunnels to be built under busy roadways to better ensure the safety of those using the trail. Amenities like that are regularly found on trails in bigger cities, like Austin, and we’re proud that our area now will be able to boast of such a pedestrian-friendly trail system that allows runners, walkers and bikers not to have to stop and wait for lights at busy crosswalks, nor interrupts traffic flow for motorists. This project is so impressive that it was ranked No. 1 as a regional project by the Texas Highway Administration. Hidalgo County also has pledged $2 million. And TXDoT gave it an additional $1.5 million, but the caveat is that agency’s money must be used by the end of this year. That means the project should be fast-tracked and that’s good news for residents because hopefully that means it will be completed faster and ready for our use. The first 2.2 miles are being built in San Juan west across Veterans Road and south near Ridge Road. The amount of money that San Juan and McAllen will pay will depend upon the total miles eventually constructed. McAllen City Commissioner Richard Cortez has told us that these trails, which he calls “linear parks” are some of the city’s most popular features and draw visitors. Given the tremendous popularity, we hope this new regional trail system will add miles and miles to the existing trails and will help to inspire more people to get out and exercise, and to do so safely.